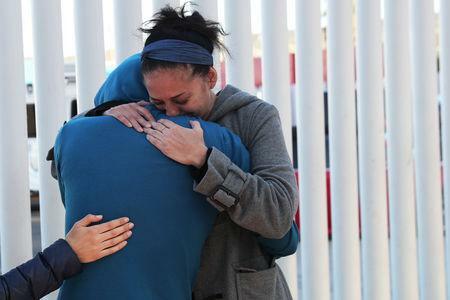 TIJUANA/MEXICO CITY, Mexico (Reuters) - The United States was expected to send a first group of 20 Central American asylum seekers back to Mexico through the border city of Tijuana on Friday as part of President Donald Trump's hardening of longstanding U.S. immigration policy. 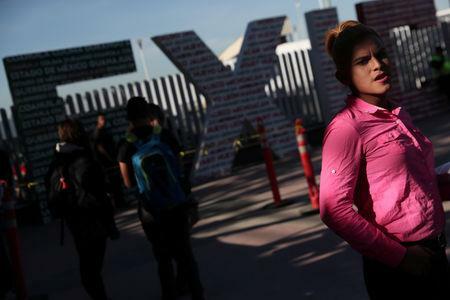 Mexican Foreign Ministry spokesman Roberto Velasco said U.S. authorities were expected to send the first group of 20 Central American asylum seekers back to Mexico's territory on Friday through Tijuana. U.S. authorities will send as many as 20 people per day through Tijuana and gradually start sending people back through the other legal ports of entry along the Mexican border, he said. Mexico will accept the return of certain individuals who have a date to appear in a U.S. immigration court, but will reject those who are in danger in Mexican territory, suffering health problems, or are unaccompanied minors, Velasco said. Velasco said Mexico does not have a "Safe Third Country Agreement" with the United States, which would "imply a binding commitment to process in our territory all U.S. asylum requests of migrants that pass through our country and take full responsibility for their legal situation." Now, the U.S. government says migrants will be turned away with a "notice to appear" in immigration court. They will be able to enter the United States for their hearings but will have to live in Mexico in the interim. If they lose their cases, they will be deported to their home countries. Leopoldo Guerrero, Tijuana's secretary of government, said Mexico's federal government should take responsibility for the migrants, stressing that the city did not have the resources to do so. "It doesn't seem fair to me. It's safer for us on the other side (of the border)," he said. "For many of them, Mexico is not a safe place to stay," said Betsy Fisher, policy director for the International Refugee Assistance Project. Trump's administration, which has described Central American migrants as a danger, says it is relying on a U.S. law that allows migrants attempting to enter the United States from a contiguous country to be removed to that country. But the policy will likely be challenged in court since claiming asylum is protected under both international and U.S. law. Several of Trump's signature immigration policies, including some attempting to reduce asylum applications, have been halted by U.S. federal courts.